Merry Christmas Leigh!!! Trying to get caught up...your house!! Your bees! Your new book!!! Wishing you a peaceful holiday week and nothing but the best for 2016!!!! Those are quite the rhyming treat. I might have to try the yummy mincemeat. Merry and Happy to you and yours, each and everyone on two and fours. Merry Christmas Leigh and Dan! Merry Christmas and Happy New Year of 2016 (can you believe it?!) to you, Dan and all your critters! Your little tree looks almost identical to ours. Bigger is not always better! Blessings to you and yours, Leigh. Thank you for all you share with us. The bay window seat did work out well for that, didn't it? :) Here's wishing you and yours a very Merry Christmas as well. Tuesday, good to hear from you! And Merry Christmas back at ya! I was happy to see you all are keeping up your blog. 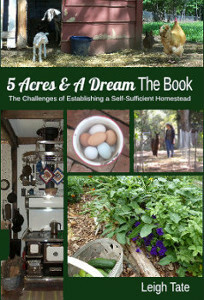 Such a wonderful record of building your farm and homestead. Theresa, you are so clever! Love the rhyme (would make a good Christmas card, LOL). I've always wanted to try mincemeat and may have to give this a go too. It would be another treat to add to the larder. And Sandy, a very Merry Christmas to you and Bulldog Man. Merry Christmas Leigh and Dan! 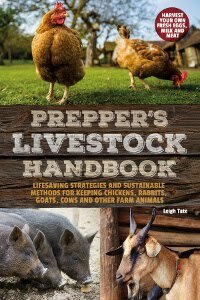 I hope you have another season of happiness and progress on the homestead. Merry Christmas to your wonderful 5 acres and all who ramble on it! Merry Christmas to you and yours back!!! Merry Christmas to you and yours! it has been a pleasure following your blog for the last year and we look forward to following your progress in the upcoming year! we send our very best wishes and love to you! Merriest of Christmases!!! All our best for a joyful season!! Thanks for all you share with the rest of us! Big hugs to you! Merry Christmas to you and your family Leigh!! Thank you Fern! Christmas blessings to you and Frank! Pam, Happy Holidays to you too! And a very Merry Christmas to you and Ralph! Thank you Renee! Merry Christmas to you and yours too! Wishing the same to you and Mrs. PP! And a Purry Christmas to you! Kymber and Jam, the same for me. I hope you are having the merriest of Christmases! And back at ya! Wishing you both the very best. Katie! Good to hear from you. A very Merry Christmas to you and yours as well. Now that its all over and we are living on leftovers which often taste better, i can pause and say Merry Christmas to both of you. Its very hot and we are about an hour from the bush fires on the coast. Terrible Christmas Day for many folk and no doubt a huge impact on the tourist season which is at its peak. Hubbies Mum came to visit for first time in 15 years and so for him it was the best gift ever. (she lives only an hr away). One more tick off the bucket list. Many blessing Leigh and i look forward to another year of posts.